The Burdick Center for the Performing Arts is a beautiful and acoustically-perfect concert hall with 500 seats. 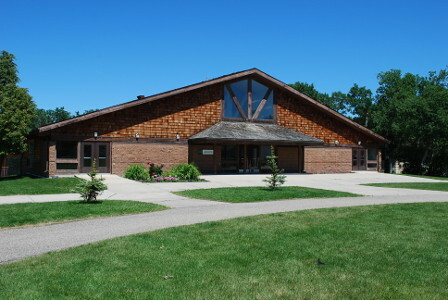 It is home for daily events including concerts, movies, and assemblies. 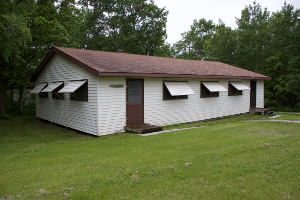 The Burdick Center is air-conditioned, and also houses the camp’s storm shelter. 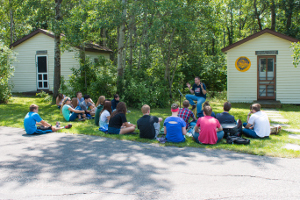 The Alme International Arts Centre is the newest building on the IMC campus, and was dedicated in 2008 by former Camp Director Joe Alme and his wife Joyce. This beautiful building houses the Leach Music Library, the NDFMC Composers Center computer lab, the Timmerman Theatre, and two large classrooms/meeting spaces. 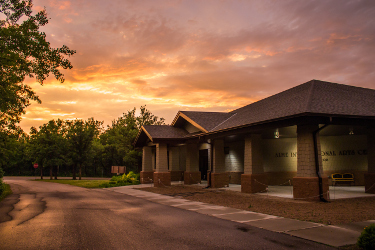 The Alme Centre is a year-round facility, often used for events in the IMC off-season. The Masonic Auditorium is the site of weekly student performances during the summer season. Many groups rehearse in the hall during the week, and there are often special activities held in the building. The Masonic Auditorium can accommodate over 1,200 audience members, and the unique design of the building allows visitors to be outdoors while inside. 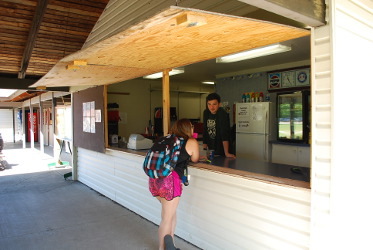 A concession stand and public washrooms are located in the hall. 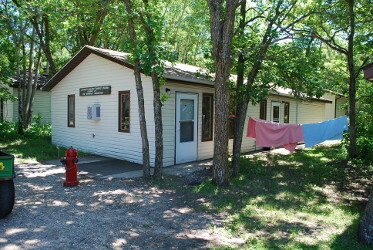 Howard Hall is one of the earliest camp buildings constructed, and was named after John Howard, a University of North Dakota professor who was an early supporter and International Music Camp board member. Howard Hall was the gathering place at IMC for many years, and is now used for ensemble rehearsals, recitals, dances and many more activities. 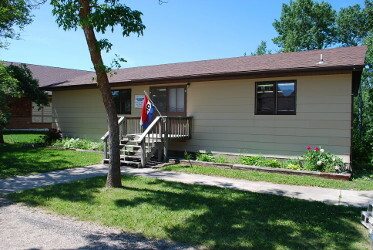 The Utgaard Administration Building houses the main summer administrative offices, workrooms, staff lounge, and Camp Directors’ office. The building was constructed in the 1960s, and is named after IMC Founder Dr. Merton Utgaard. 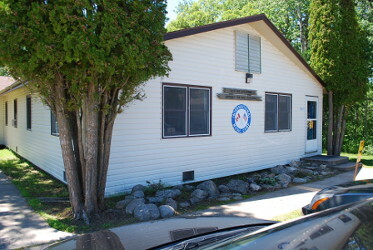 The INTERNATIONAL MUSIC CAMP has over 70 buildings on the campus, and most of them are rehearsal halls, classrooms, and huts. The huts are small buildings for teaching and practicing, and nearly all of them contains an acoustic piano. The Allegro Shop is our gift shop and includes many items such as t-shirts, sweatshirts, sweatpants, stuffed animals, collectable badges, and more! Any supplies for your instrument such as rosin, reeds, valve oil, music stands, and more can also be found at the Allegro Shop thanks to Northwest Music in Minot. If you would like to purchase pencils, staff paper, postcards and stamps to mail home head to the Concession Stand. We are also fully stocked with drinks, slushies, chips, candy, and other things to fill your snack needs. If you forget some toiletries check the Concession Stand. The Nurse’s Station is staffed to provide first aid assistance as needed. It is staffed by our Camp Nurse the entire time campers are at IMC. Hospitals and clinics in both North Dakota and Manitoba are accessible if required.